We offer both rehabilitation and habilitation services with a focus on maximizing potential. We work with both the person and their family to achieve the best possible results. Although our focus is on children’s services, our diverse team of specialists is able to work with children, adolescents and adults with complex needs. We provide support to help that person acquire or keep, restore or improve all general skills and function for daily living, including effective communication. We are able to work with people who have severe injuries and complex disabilities by providing long term therapies, practical advice and assistance. 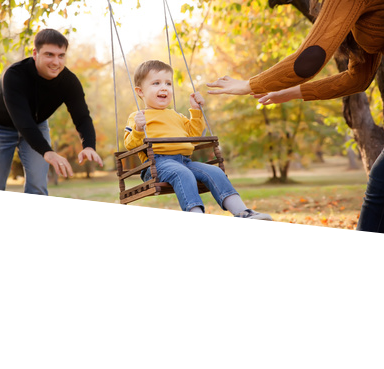 Our team form working relationships that facilitate growth and trust between therapist, child and family. Indeed, many of the adolescents we work with today have been with us since they were babies or small children. We believe it is best to work with children and families in their own environment, hence we undertake our therapies in the home, community, school or preschool; whichever place allows the individual put their goals into practice. Every challenge we assist with is a journey. For many families they are venturing into the complete unknown, so one of the most valuable things we offer is to give families a view into what to expect and what they can hope for. With our wide variety of therapies and hands-on experience we will work with them to achieve the highest potential for their loved one.